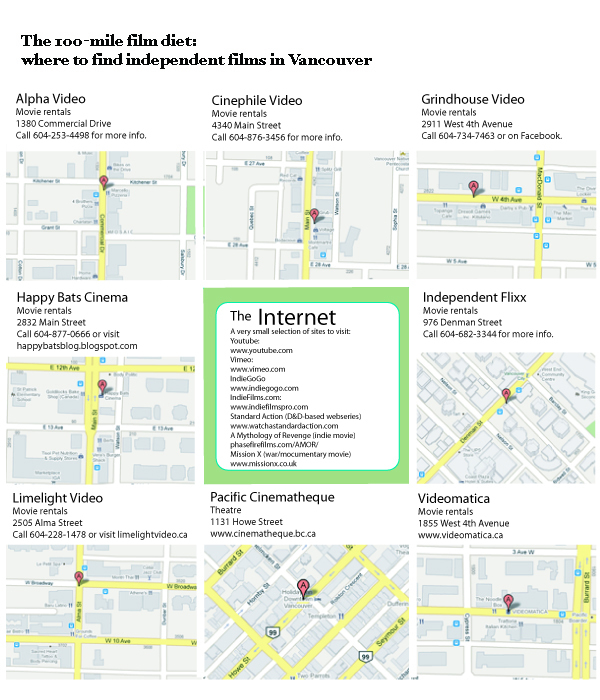 The cost of filming is one of the biggest issues facing independent filmmakers in Vancouver. The City of Vancouver’s Vancouver Film Office was set up to deal with on-location filming while ensuring the safety of the public and protecting the rights of local neighbourhoods. It handles all productions in Vancouver, ranging from independent films and commercials to feature films and television series. And while the office helps production companies get the authorization to film on public property and on city streets, the price can be high, especially for independent filmmakers. According to the city’s website, it costs about $650 a day to film at any major parks or beaches, while the permit for filming in neighbourhood parks is about $590 a day. Any filming that affects the normal use of public property requires a Film Activity Permit. Each day of filming or different location requires at least one Film Activity Permit, which is approximately $150. A street-use permit is approximately $150, but the amount of street space being used for filming will determine how many permits are required to shoot the scene. The use of a Vancouver police officer in filming is $95 an hour and a sergeant is $119 an hour. Using a fire engine in filming costs $110 per hour and firefighters are $82 per hour each. Vancouver Fire and Rescue Services Training Classroom is available for $400 per day and the Training Academy is available at the rate of $1,500 per day. Lori Clarkson, film liaison at the Vancouver Film Office, says that the cost of film permits is the same for independent filmmakers as it is for professional filmmakers. “From our point of view, if a production crew is asking us to do some work, it doesn’t matter whose asking us to do the work. We have to be paid for the work we do, so it doesn’t matter if it’s a huge feature or a small independent feature,” said Clarkson. There are some ways the city can cut back on some of the costs for independent filmmakers. To find out more about the cost of film permits in the city of Vancouver, visit the Vancouver Film Office website.